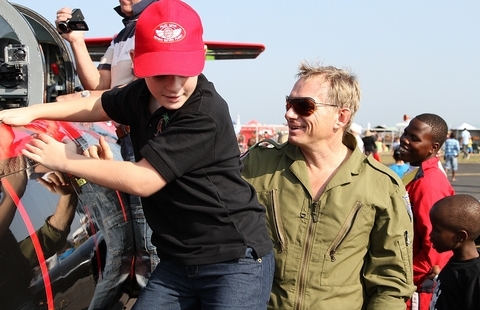 In the great spirit of the KZN Winter Air Tour and bringing aviation to the locals of KZN the organisers decided to open the gates at no charge to the public at this the 6th Airshow of the KZN Winter Air Tour. Brian Emmenis of Capital Sounds also announced that the decision to have a free gate entrance was because of the bad weather in Gauteng resulting in two of the displays being cancelled. The show was officially opened by the Mayor Cynthia Mqwebu and a parade down the runway accompanied by the safety and emergency protection vehicles. The L29 Delfin flown by Martin Schultze in ZU-VLL was the first jet in the lineup to display the Cold War Russian Trainer. This was followed by Michel Leusch in his Super Decathlon in another riveting aerobatic display by this young KZN Pilot. 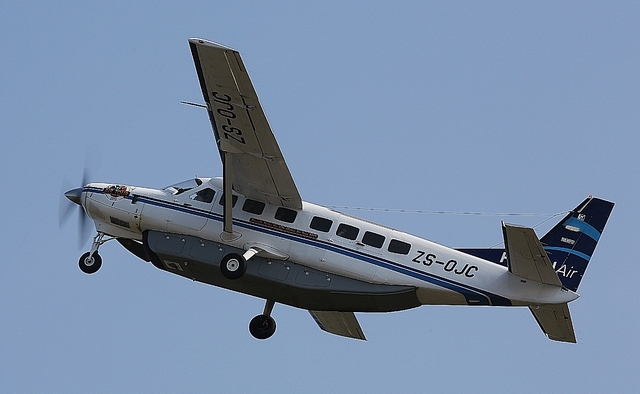 The Federal Air Cessna 208B Grand Caravan ZS-OJC the official airline for the KZN Winter Air Tour was next in the lineup with a graceful display by this workhorse of the sky. The second jet of the day was the Impala ZU-IMP 479 flown by was Mike Weingartz and owned by Dawid Laas. The crowds loved this display. 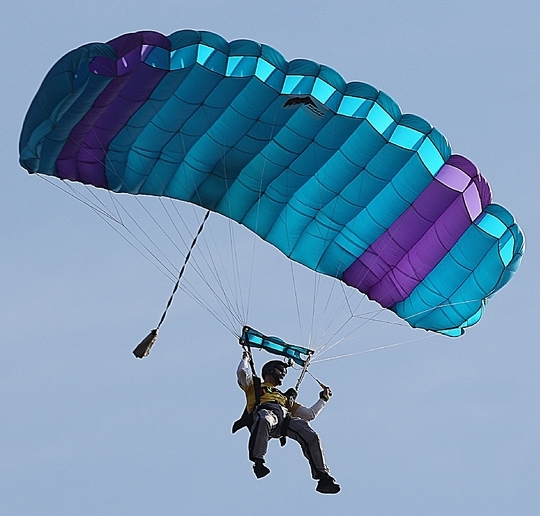 The Durban Skydive team, a crowd favourite in their branded yellow t-shirts thrilled the crowd with their skill, landing along the crowd line. This was followed by The Good Year Eagles Pitts led by Dennis Spence in their two ship display that had the crowds cheering in delight. 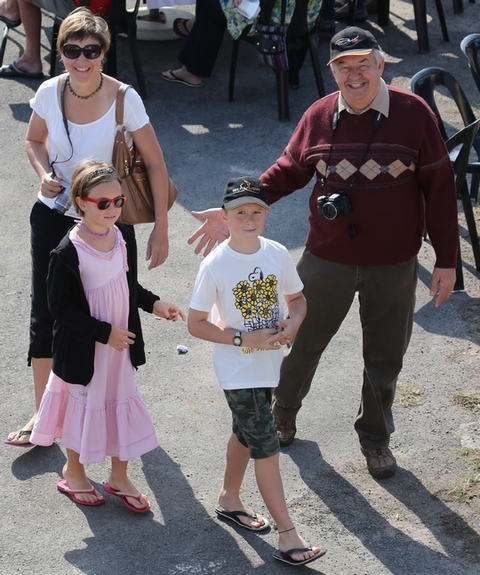 Aviation legend and all around good guy Captain Karl Jensen and his lovely daughter and his two grandchildren from Hong Kong made an impromptu visit to the airshow. Thereafter the apron was opened to the public so that spectators could mingle with the pilots and touch the beautiful aircraft. The L29 was probably the most visited aircraft which kept Martin Schultze very busy for the next hour. After lunch the Yak 52's flown by William O'Driscoll and Stu Low displayed their aircraft to the large crowds. Next up was a unique display formation with the L29 and the Impala. Brian Emmenis announced that a display like this had never been seen before and was a first for South Africa. The next crowd pleaser was the car and plane race between a Hyundai Tiburon and the Good Year Pitts flown by Dennis Spence. For once the plane won, much to the crowds delight. Michel Leusch then ended the airshow with an awesome display of his red and white radio controlled Viper jet to the crowds. Brian Emmenis announced that this jet cost Michel R100,000. As always special mention must go to Safety Director Fred Bebington, John Neilon Flight Director, the IGS Security Team, ATNS Riaan Olivier and Brian Emmenis of Capital Sounds for a safe airshow. I would also like to thank Martin Schultze, Stu Low and William O'Driscoll for formating on the RV12 so that I could get some awesome pictures on our way back to Virginia. 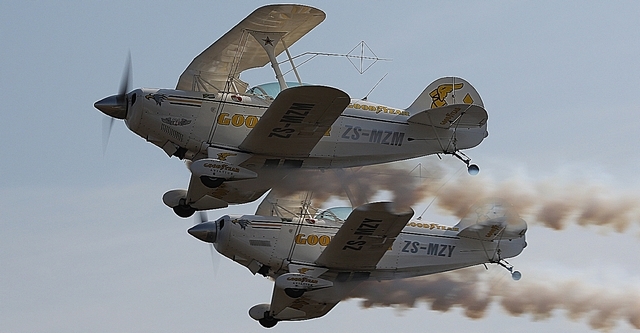 The 7th and last Airshow in the KZN Winter Air Tour will be held at Virginia next Saturday the 13th July. Be sure not to miss this one.